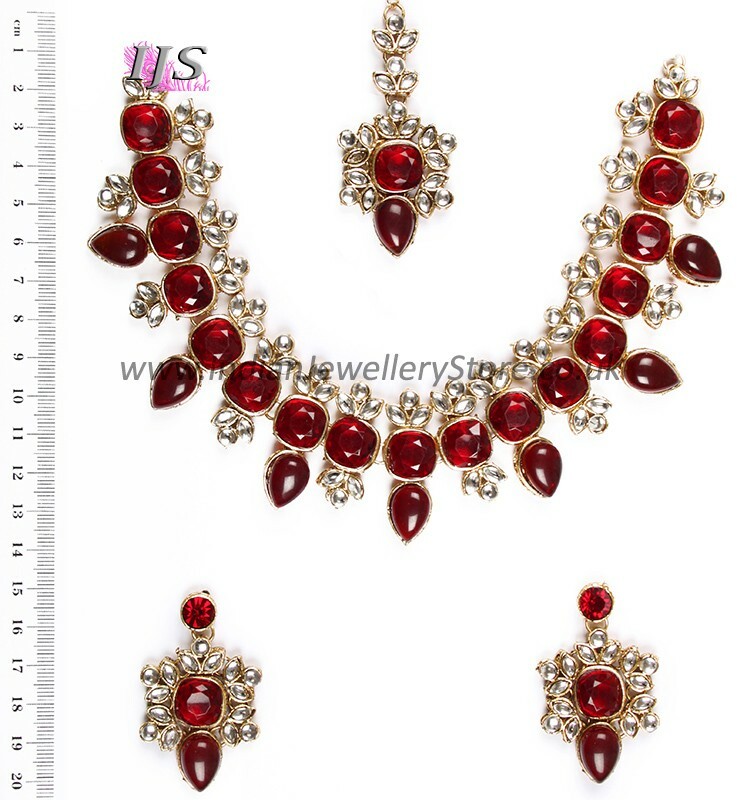 Modern design kundan necklace set in light gold with mild antique (18k colour gold with very mild black antique) & bright red, set with kundan and crystal diamante stones. 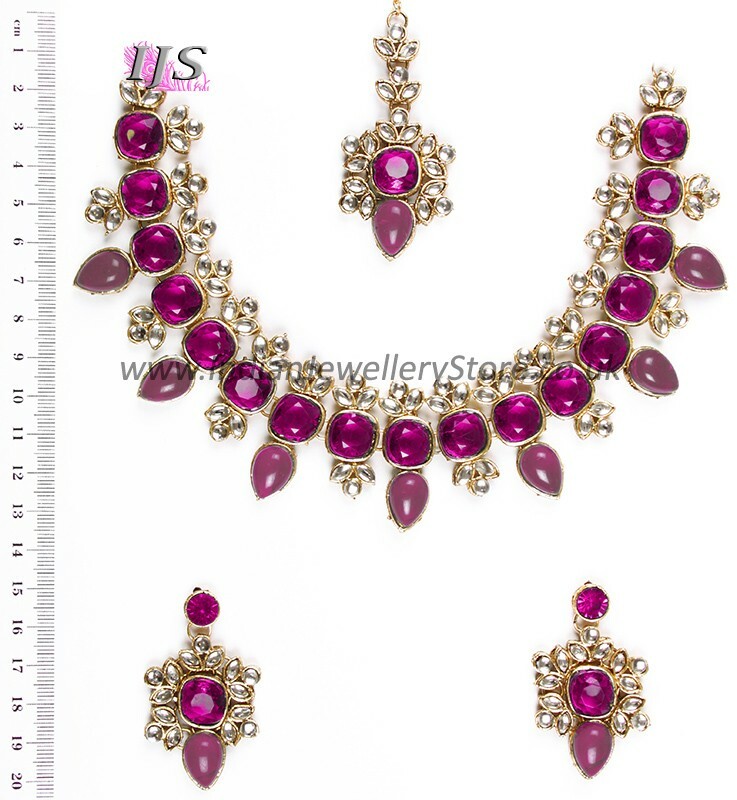 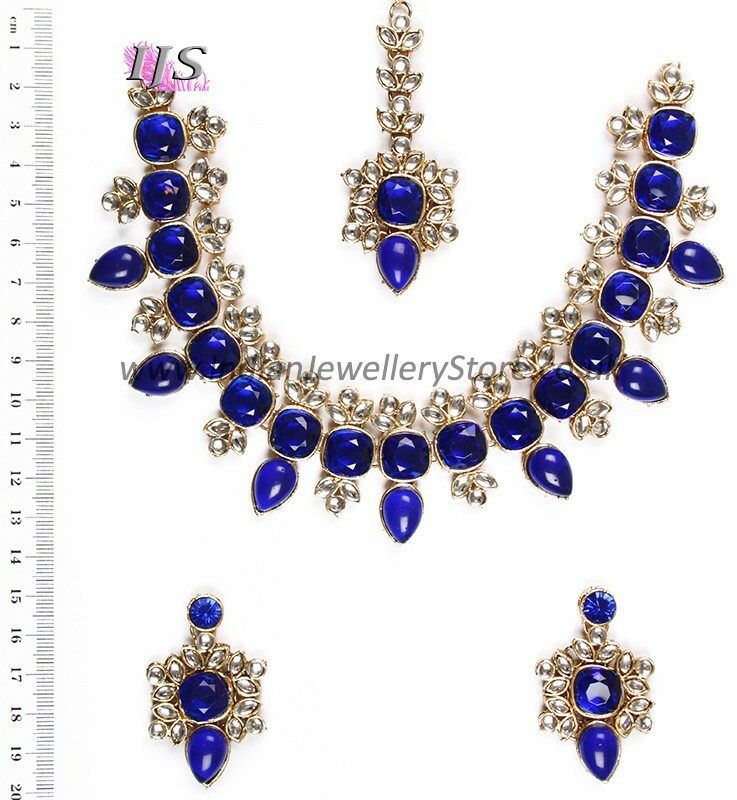 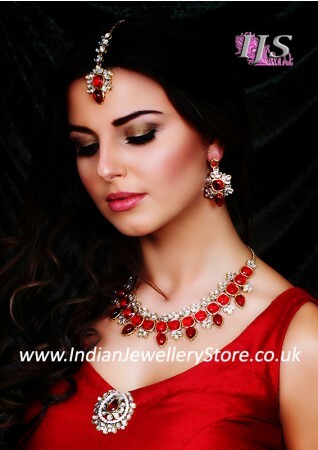 Set includes: necklace, earrings & tikka. 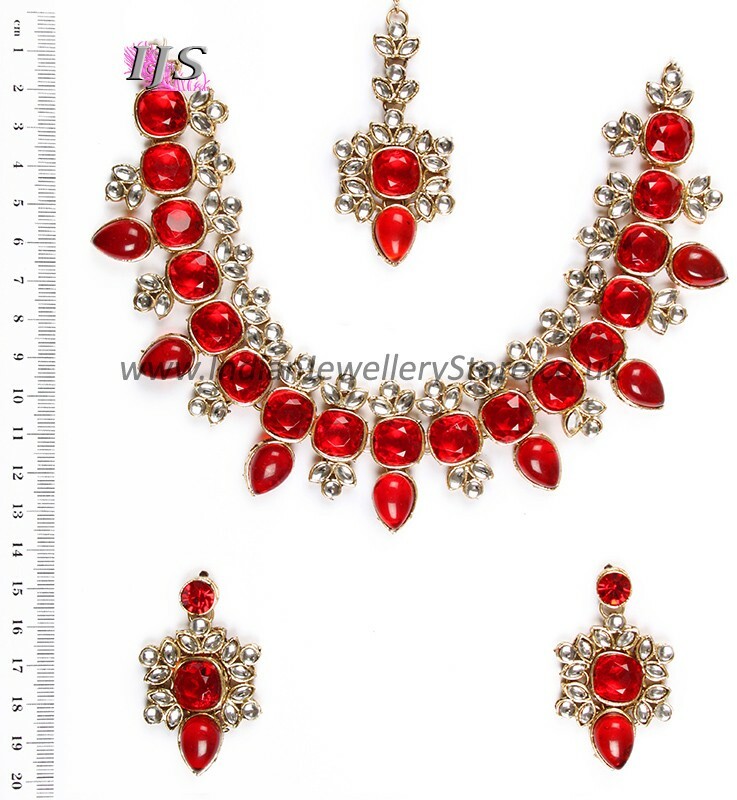 * Also available in silver. 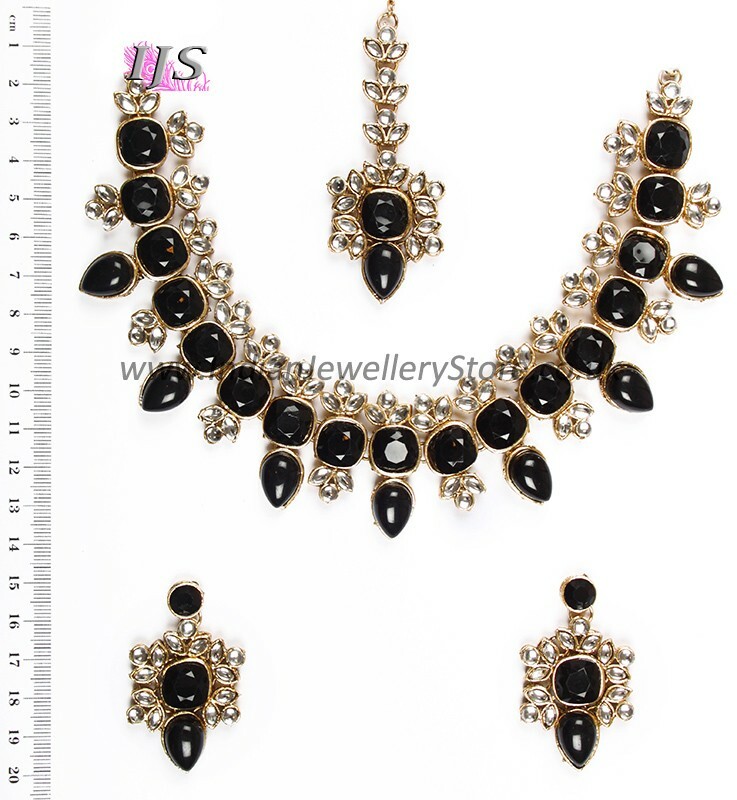 Designed by Indian Jewellery Store, this on trend kundan necklace set is flexible & can be worn as a collar neklace or as a choker as your mood takes you! Dimensions (at widest points): Earring - 3.0cm wide, 5.0cm long. Tikka - 3.0cm wide. 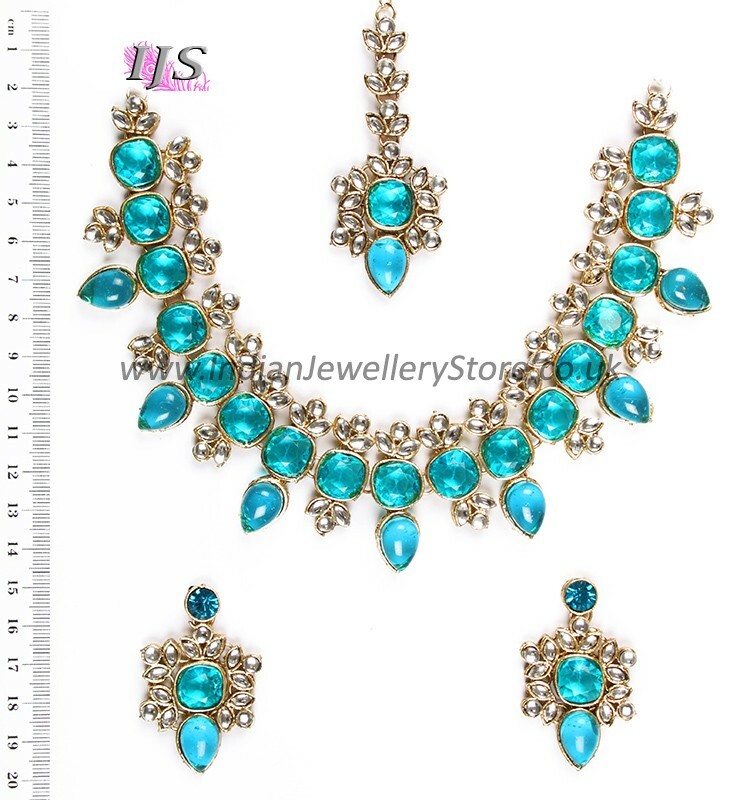 Necklace width: 4.0cm. Scale shown in image is in cm.